The Big Wrap sees a week of PLO action take place at King's Casino, including a €1 million guaranteed event! Major live poker tournaments tend to be predominately no-limit hold’em but King’s Casino, Rozvadov is bucking that trend by running The Big Wrap, a pot-limit Omaha (PLO) themed series to include a pair of tournaments, one with a €1 million guaranteed prize pool, and a week of PLO cash game action. The Big Wrap takes place from April 1-8, following on from the 2019 WSOP Circuit festival that runs at King’s Casino from March 14 to April 1 which features 15 gold ring awarding events. A full schedule for the Big Wrap can be found below. Kicking off The Big Wrap series is a €550 buy-in Big Wrap Warm Up event that guarantees at least €200,000 will be won. Everyone in the Big Wrap Warm Up sits down with 30,000 chips and are permitted to make unlimited re-entries, which should make for plenty of action at the tables. The Big Wrap is the crown jewel of the schedule not least because it has a mammoth-sized €1,000,000 guaranteed prize pool. Entry to the Big Wrap costs €2,350 unless you manage to win your way in via one of the many €350 satellites in the run up to what is set to be one of the biggest PLO tournaments ever held in Europe. Players in the Big Wrap start with 100,000 chips, play to 40/60 minute blinds and can re-enter twice in total. 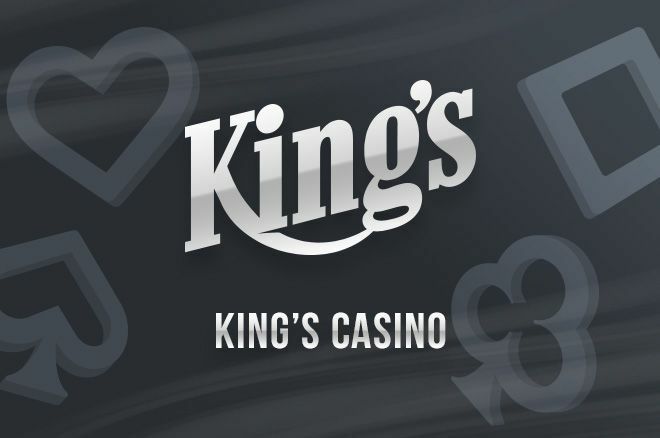 King’s Casino owner Leon Tsoukernik is one of the confirmed €1,000,000 Big Wrap players, as is the legendary Antanas “Tony G” Guoga, Fernando “Jnandez” Habegger and Team partypoker’s Bertrand “ElkY” Grospellier. There will be PLO cash games offered in all limits starting at €5/€5 with all players able to freely choose from the exclusive a la carte menu. King’s Resort is offering Big Wrap players special hotel deals where they can enjoy five nights’ stay for €349 or six nights for €399. More than 200 players have reserved their room so you need to hurry if you want to take advantage of this special room rate. Contact Frank Koopmann via +420 735 124 100 to make a hotel reservation.